Team USA's improbable comeback earns them their first-ever gold medal. In a single-file line, the all-ages group of 40 shuffled gingerly onto the ice. Some wore jeans, some wore sweatpants and one was in gym shorts. A few looked athletic; others not so much. There was a sense of nervous excitement. All had pulled rubber "grippers" over the soles of their shoes to reduce slippage, and now it was time to learn how to curl. Every four years, coinciding with the Winter Olympics, curiosity in the ancient Scottish sport is piqued. 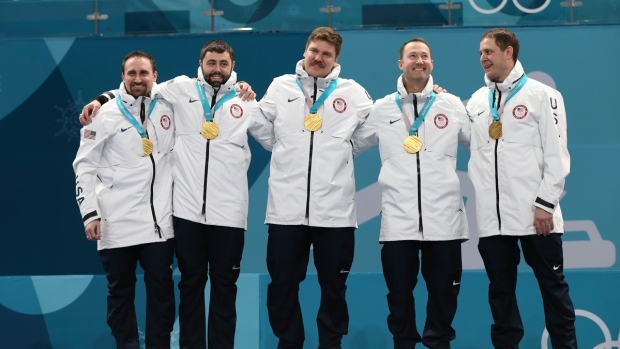 But this year, clubs across the nation are reporting unprecedented interest, particularly after the U.S. men won the country's first curling gold medal. Here at the Aksarben Curling Club (that's "Nebraska" spelled backward) in Omaha, about 1,000 aspiring curlers will be introduced to the sport this winter and spring — more than twice as many as in a normal year, director of marketing Sean Morrison said. "Typically we'll see a bit of falloff as the Olympics wrap up and the season ends and the weather warms," Morrison said. 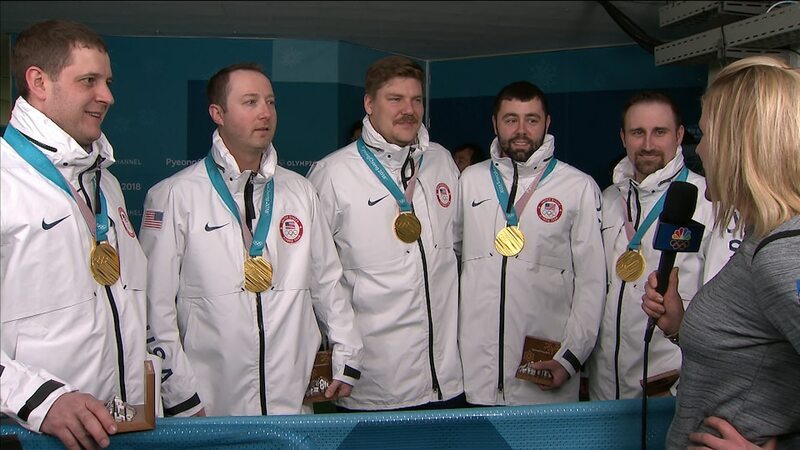 "As it turns out, the U.S. men won the gold this year, and that only heightened the interest. We're continuing to see a lot of interest where traditionally it would have waned by now." Fifty-somethings Brenda Graumann, Mimi Quinn and Robin Quinn signed up for the Aksarben event Sunday because they were looking for something new to try. They got their first look at the sport when they attended the U.S. Olympic trials in Omaha in November, and they watched the competition in South Korea on television. "They make it look so easy," Graumann said. It's not, Graumann and the rest would soon discover. With the newbies sitting in rink-side bleachers while volunteers prepared the ice, Aksarben club president Steve Taylor went over that afternoon's lesson, explained terminology and talked about safety. Everyone signs a release of liability upon walking through the door, Taylor said in an interview. He noted there have been two concussions and one separated shoulder sustained from falls this winter. Taylor issued a series of warnings. The brooms are for sweeping and aren't spears or golf clubs to be waved around. "I don't want to see anyone get cracked upside the face," he said. He admonished them to not play catch with the stones — yes, a couple guys one time thought it would be fun to toss the 40-pound stones back and forth to each other. Taylor cautioned that runaway stones "trucking down the ice" and sliding beyond the boundaries should be stopped with a broom, not a foot. With that, the newcomers split into their four-person teams, one each on either end of the five curling sheets spread across the hockey rink. "Tomorrow morning you're going to be sore in some places you're not used to being sore," instructor David Steinhauser said as he demonstrated how to crouch and push off the hack (think starting block in track) to deliver a stone. Folks also are given the option to stand and use a stick, akin to a shuffleboard cue, to push the stone. There are about 20,000 curlers in 40 states registered with USA Curling, with nearly 4,000 in Wisconsin and 3,500 in Minnesota. Numbers outside the sport's traditional footprint are sure to grow judging by the popularity of initiation events. "In addition to the strong response to local open houses and learn-to-curl classes, we have had individuals reach out to the national organization from around the country about starting curling clubs," USA Curling director of growth and development Kim Nawyn said. "We are particularly excited to see interest in states such as Louisiana, Arkansas, and Alabama, where there are no current clubs." The Denver Curling Club held six open houses over 10 days, and more than 1,000 people ages 6 to 80 came out to try the sport for 30 or 60 minutes. The Lone Star Curling Club in Austin, Texas, has sold out 500 spots spread over 10 learn-to-curls, with two sessions selling out in 29 hours. The Coyotes Curling Club in Tempe, Arizona, has gone from one or two learn-to-curls a month to scheduling 10 in March and another 10 in April, with as many as 160 people accommodated at each. The Orlando Curling Club often lost money on learn-to-curls, president Bryan Pittard said, but has sold out five recently and expects to fill two more. Of the people who participate in learn-to-curls, which cost about $20 per person, 5 percent to 10 percent eventually will sign up for a league and become club members, Omaha's Morrison said. Most clubs offer beginner-specific leagues for people who have recently gone through learn-to-curls. Beyond the camaraderie the sport fosters, it is accessible. Clubs provide brooms and shoe grippers and, of course, the stones. 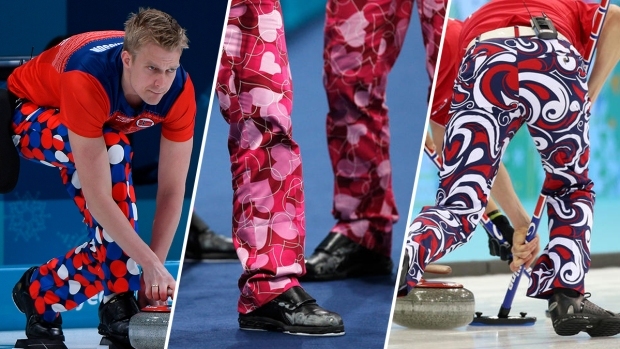 If a curler wants his or her own equipment, it costs about $80 for a broom and $100 for curling shoes. Spencer Gause, a gym-short wearing 17-year-old who came with some buddies to the Omaha event, found pushing the stone down a 150-foot rectangular sheet into the scoring area known as the "house" requires skill that takes more than the allotted two hours to develop. "Just getting the right touch to it — not too hard, not too soft — it's such a small range," Gause said. Gause said he didn't know if he would want to commit to signing up for a league. He did say, however, he would like to try curling again. "It's a lot harder than I thought it was going to be," he said.